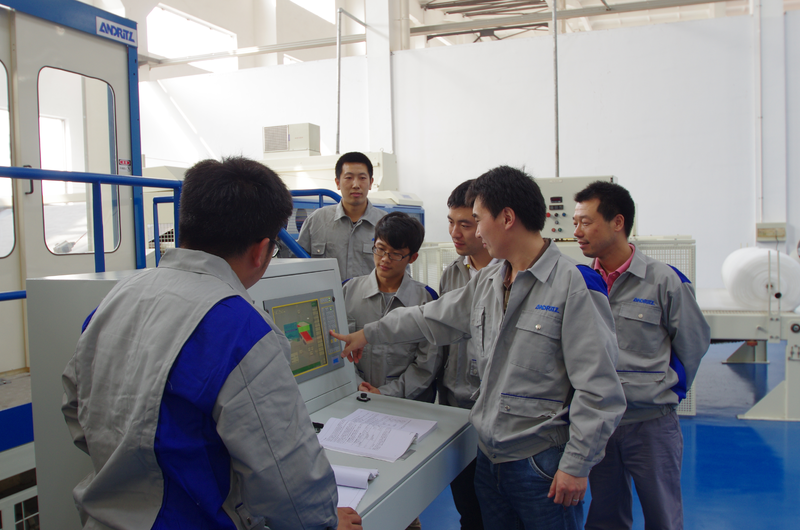 The ANDRITZ (China) Ltd. Wuxi branch office Nonwoven technical center comprises an industrial scale aXcess needlepunch pilot line for customer trials and product development. ANDRITZ Nonwoven experts and highly skilled process engineers together with state-of-the-art installations stand as partners for your product development and service needs. Evaluation of new process settings and definition of parameters for product guarantees are additional opportunities at our new facility in Wuxi. Here we offer evaluation of new process settings and definition of parameters for product guarantees and an exclusive service to conduct trials with our state-of-the-art aXcess range of technology specially developed for the Asian market.